We are delighted to welcome author Kate Charles to Omnimystery News today. Kate's fourth mystery to feature Reverend Callie Anson is False Tongues (Poisoned Pen Press; April 2015 hardcover, trade paperback and ebook formats) and we recently had a chance to spend some time with her to talk more about the book and the series. 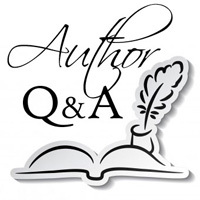 Omnimystery News: When starting a new book, how do you decide whether it will be one of a series or a stand-alone? Kate Charles: I've written both series (2 of them) and stand-alones, depending more on publishing trends than personal preference. Both have their attractions and their drawbacks. On the whole, because my books are character-driven, I think I prefer to write a series with ongoing characters who can be developed from book to book. In fact, in my new book I've actually used a character from one of my stand-alones in a fairly major role, as well as a character from my previous series. So maybe I've created a whole new category! OMN: Into what fiction genre (or mystery subgenre) would you place your books? KC: I hate labels! Reducing a book to a label inevitably diminishes it. But it does help readers, not to mention publishers and booksellers. My books aren't cosy, nor are they hard-boiled. Soft-boiled, maybe? They have elements of police procedure, but also often involve amateur detectives. I don't mind being classified as "clerical crime" or "ecclesiastical crime". KC: I'm very much an organic writer. I start with a theme or situation, then quickly develop the characters and get to know them fairly well before I start writing. From there on, I sit back and let it happen. As far as I'm concerned, that's where the joy of writing exists — in discovering, along with my readers, where the characters take me. If I had to write a synopsis before I started, it wouldn't be fun any more. KC: The Internet is a marvellous thing! Most facts can be checked on the fly, and that includes using Google maps to see what places look like, figure out how to get from A to B, and how long it will take to do so. The danger, of course, is getting side-tracked into interesting diversions as a form of writing avoidance. KC: I try to avoid using real places. The Callie books are set in a very real and recognisable part of London, but the you wouldn't be able to find most of the locations on a map. It's much more fun to make up places — some of the churches in my books may be inspired by real churches, but I enjoy inventing their own histories and architecture. The creation of Malbury Cathedral, in Appointed to Die, was such a joy! And it was much safer, on so many levels, than using a "real" cathedral. KC: Venice, without a doubt! Most beautiful, tantalising, intriguing city in the world, IMHO. I think that Callie and Mark should go there on their honeymoon! KC: Not surprisingly, my activities tend to be church-centric. I love music, particularly English choral music, and wherever I've lived I've always sung in the church choir. My books do feature the occasional eccentric church musician — I've known a few! I'm also keen on cooking, so food usually plays a part in my books. Lucy Kingsley (in the Book of Psalms series) is an accomplished (vegetarian) cook, and Mark Lombardi (in the Callie Anson series) comes from a family who run an Italian restaurant. OMN: Do you use a pen name? KC: Yes! I love using a pen name! It can be confusing at times, especially for my husband (when he's called Mr. Charles), but it allows me to compartmentalise my life. In "real life" I'm quite a shy person, definitely an introvert, but when I assume the persona of Kate Charles I can behave with much more confidence. OMN: How do you come up with the titles for your books? KC: Most of my book titles are taken from the Psalms. In some cases, the title actually comes before anything else. False Tongues is one of those — the words resonated, and inspired a book exploring all of the ways in which the tongue can do damage, whether it be lies, malicious gossip, or bullying. KC: The most common communication I get from readers has to do with my first series, the "Book of Psalms" mysteries. For some reason, people love those books and continue to read them, more than twenty years on. A typical e-mail would be along the lines of 'I love all your books, but the David and Lucy books are my favourites. Are you ever going to write another one?' This is rather bittersweet for me. I'm delighted that people still enjoy those books, and I'm thrilled to be able to tell them that they're all being re-published this summer (by SPCK/Marylebone House) with stunning new covers and special introductions, but it's unlikely that I'll ever write another one. Too much water under the bridge, unfortunately! KC: I grew up reading English children's books, which fuelled in me the desire to live in England. My mother's taste in reading — lots and lots of mysteries — influenced me to graduate from Peter Pan and Mary Poppins to Agatha Christie and other Golden Age writers. I read all of Christie, all of Sayers, all of Tey, Allingham and Marsh. P.D. James began writing when I was a young teen, and she quickly became a big favourite, and a huge influence. When it was finally time to write my first book, it wouldn't have occurred to me that it could be anything but a mystery — and an English one, at that. KC: These days I don't read much in the crime genre — I find that I'm way too picky and critical, looking at it from the other side! I am more likely to read literary or popular fiction, as well favourite classics like Jane Austen. And Barbara Pam, of course — her wonderful novels, which have had a huge influence on my writing, remain my firm favourites. KC: I have been thinking for a long time about writing a very different type of book, but that is now somewhat on the back burner, as I've decided that there needs to be one more Callie Anson book, to tie up a few loose ends and leave matters in a satisfactory place. Kate Charles, a past Chairman of the Crime Writers' Association and the Barbara Pym Society, is American by birth but has lived in England for almost thirty years. A former parish administrator, she sets her books against the colourful backdrop of the Church of England. She is a member of the prestigious Detection Club, and co-organizer of the annual St. Hilda's Crime and Mystery Conference in Oxford, now in its 22nd year. She has a vast collection of clerical mysteries, and lectures on that subject. For more information about the author, please visit her website at KateCharles.com or find her on Facebook. The Reverend Callie Anson should have learned her lesson by now: revisiting the past is seldom a good idea. But she succumbs to peer pressure and attends a reunion at her theological college in Cambridge, where she is forced to confront painful memories — and the presence of her clueless ex, Adam. Margaret Phillips, the Principal of the college, has a chance for happiness but before she can grasp it she has to deal with her own ghosts — as well as corrosive, intrusive gossip. Both Margaret and Callie learn something about themselves, and about forgiveness, from wise retired priest John Kingsley. Meanwhile, in London, police officers Neville Stewart and Mark Lombardi are involved with the latest stabbing of a teenager. Was the victim — gifted, popular schoolboy Sebastian Frost — all he seemed to be, or was there something in his life that led inevitably to his death? The police find themselves plunged into the queasy world of cyber-bullying, where nothing may be as it seems. While they're apart, Callie and Mark's relationship is on hold, and his Italian family continues to be an issue. Will Mark realize, before it's too late, that while his family will always be important to him, he is entitled to something for himself?